If you are stranded or need automotive help Wade’s Towing & Recovery can be there in a flash. We have been serving people in the Buffalo, Missouri and Long Lane, Missouri area for a very long time. We dedicate ourselves to providing quality towing & recovery services to everyone, regardless of the size of the job or time of day. We strive to do everything possible to best serve our clients and give them the assurance that they can call on us for exceptional towing & recovery service any and every time in Buffalo, Missouri as well as the surrounding areas. If you have any questions, please do not hesitate to contact us. We will do our very best to answer all of your questions and to provide references and suggestions if needed. We are more than willing to furnish quotes on any of your future projects. We pride ourselves on personal service. Don’t let someone tow your vehicle that isn’t looking out for your best interest. Many towing companies are not insured for doing this type of work. However, Wades Towing & Recovery in Buffalo, Missouri is fully insured specifically for all of your towing needs. We value you, as well as your property! We also have a safe and secure storage facility for your needs. The property is gated, well lit and has security cameras. 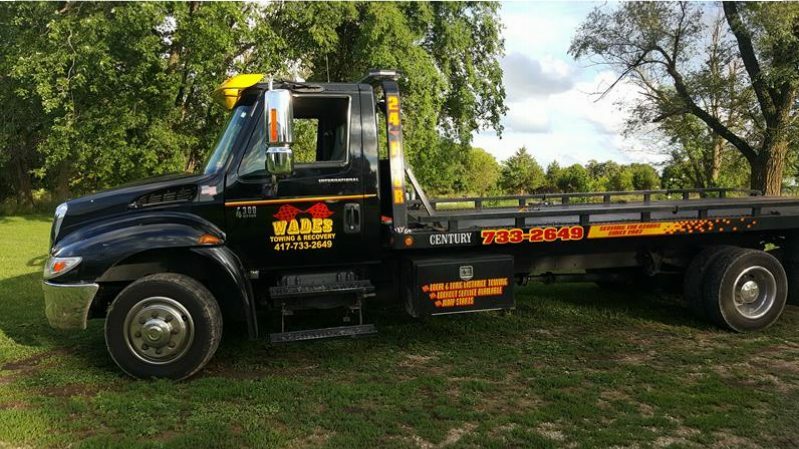 It’s just one more way Wades Towing & Recovery is looking out for you! Remember, we are just down the road in Buffalo, Mo.